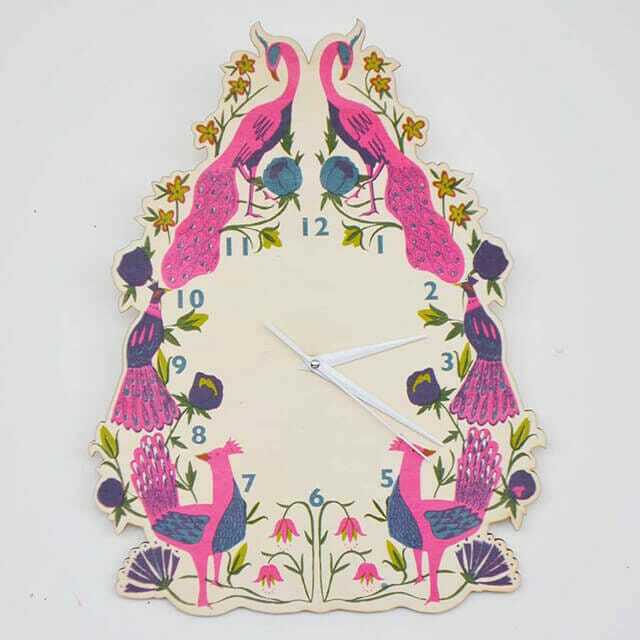 Hand Screen Printed Birchwood Clock, featuring images of peacocks and flowers. The clock is approximately 38 x 26 cm with a silent clock mechanism so no annoying ticking! The clock is printed by hand and varnished for added protection. It takes one AA battery (not included) and comes securely wrapped in tissue and packaged in a rigid recycled cardboard box. Each clock is designed, printed and made in Glasgow and as each item is handmade there will be small variations between the print of each clock – this just adds to the charm! 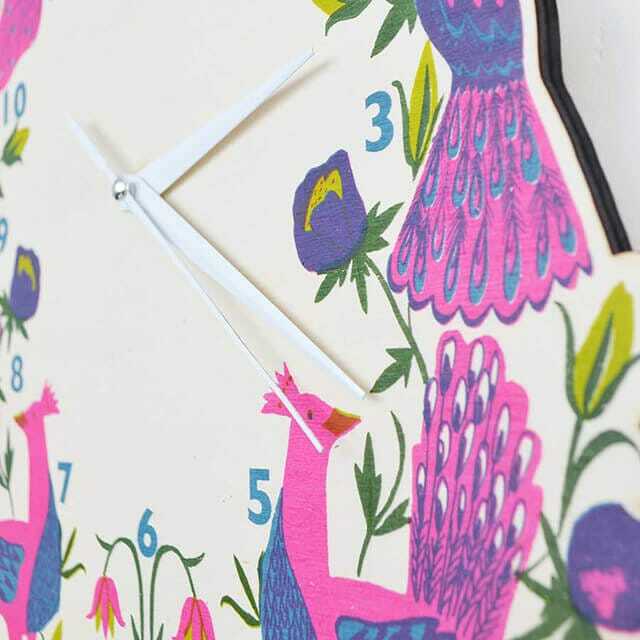 Handprinted and assembled in Glasgow, this clock will cheer up any room! A modern take on the design classic that is the cuckoo clock. East End Press is a screen printing studio based in Glasgow. 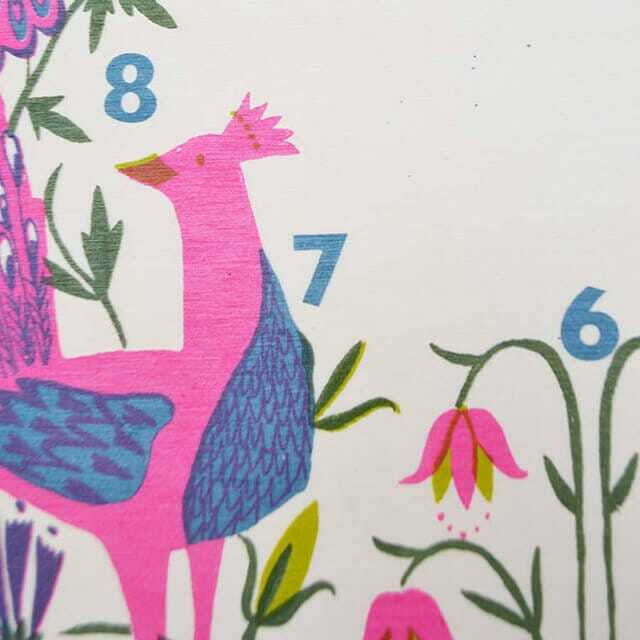 It is run by printmaker and illustrator Ellie Hodesdon and produces a range of screen printed textiles, art prints, greetings cards, homeware and ceramics. Ellie’s work focusses on bright colours and bold patterns, embracing the unpredictable nature of hand printing. Amongst other things, Ellie takes inspiration from Eastern European folk art, Indian textiles, Native American quilts and forgotten British crafts.